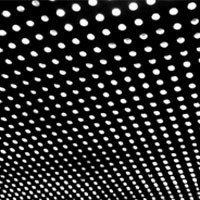 Beach House are pleased to share details of their fourth album, 'Bloom'. Like their previous releases it further develops their distinctive sound yet stands apart as a new piece of work. The landscape of 'Bloom' was largely designed on the road, between the countless sound checks and myriad experiences of two years of touring. These ideas were later gathered and developed in Baltimore, where the band lives and works. 'Bloom' was recorded in late 2011 at Sonic Ranch Studios in Tornillo, TX and mixed at Electric Lady in NYC. The band co-produced the record with Chris Coady. The many layers of 'Bloom' are meticulously constructed to ensure that each chord and melody performs its role to form a whole. Victoria Legrand states, “Bloom is a journey. For me, it is about the irreplaceable power of imagination as it relates to the intense experience of living. A bloom is only temporary... a fleeting vision of life in all of its intensity and colour, beautiful even if only for a moment." Andy says: They've settled on their sound: a dreamy, lovelorn swirl. It's the songs that have stepped up: gorgeous, catchy, near-classics.